Lgnesh and Japiter in the 4th house gives unalloyed happiness. 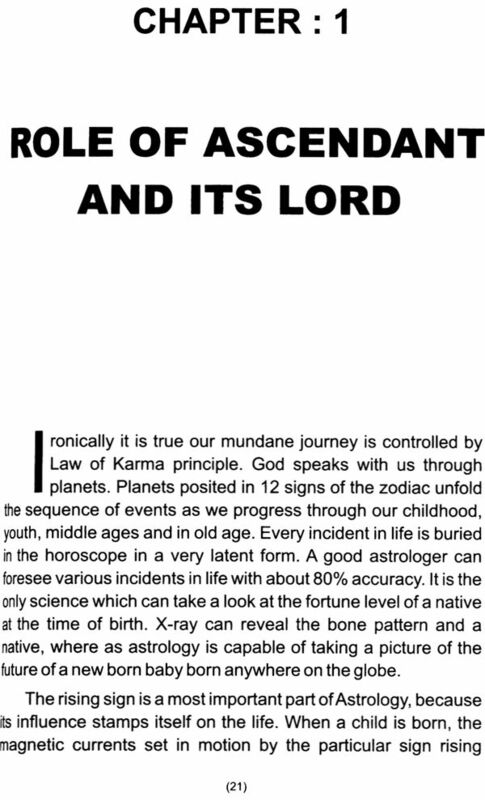 Role of ascendant and its lord have been discussed in Chapter 1. Hints for prediction have been in chapter 2. The houses 7th,8th, 4th and 12th are strong opposition houses. Malafic planets posited in these house directly put too much oppositions, rivalries and enmity’s in one’s carrier. For a coulurful life Satum should be aspected by Jupiter. When Sun and Moon are aspected by Jupiter. When Sun and Moon are aspected by Jupiter one enjoys some kind of reputation for which no justification can not be given. Name, fame, honour, health yoga, sound education, foreign travel, marriage problems, vision defect, back pain, yogas for wonderful managers who would change the face of mother India etc. have been included in total 20 chapters loaded with 152 practical examples. 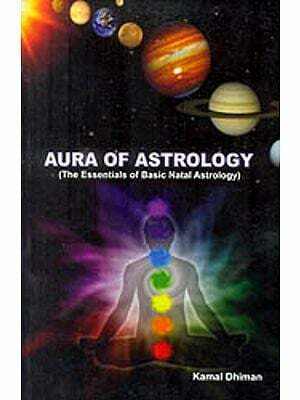 The author has provided authentic and wonderful reading materials for the advanced astrologers. Dr. SS. 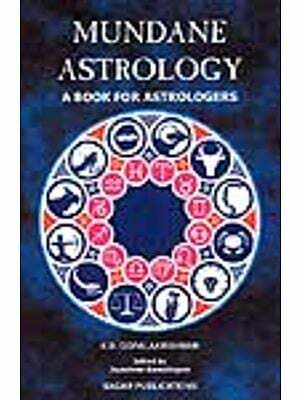 Chatterjee, now 72 is noted authority on Vedic Astrology and is a prolific writer in predictive astrology. This is his 15th book. 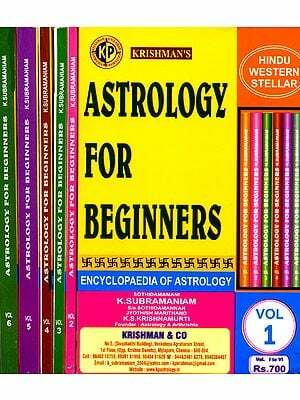 His books and as well as write ups are not only authentic but also provide thought provoking clues to the judgement of horoscopes. His books are storehouse of information or simply a knowledge bank. Ever ascendant carries a certain innate destiny-a linking up of cause and effect. Factors of good and evil yogas, dynamic and static, bring about a specific modification of destiny or adrista. 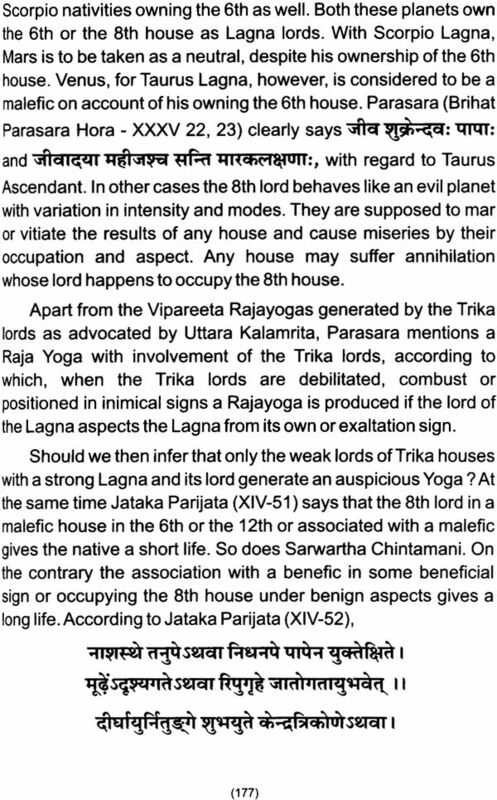 9th house and its lord are afflicted, weak, everything evaporates in thin air. 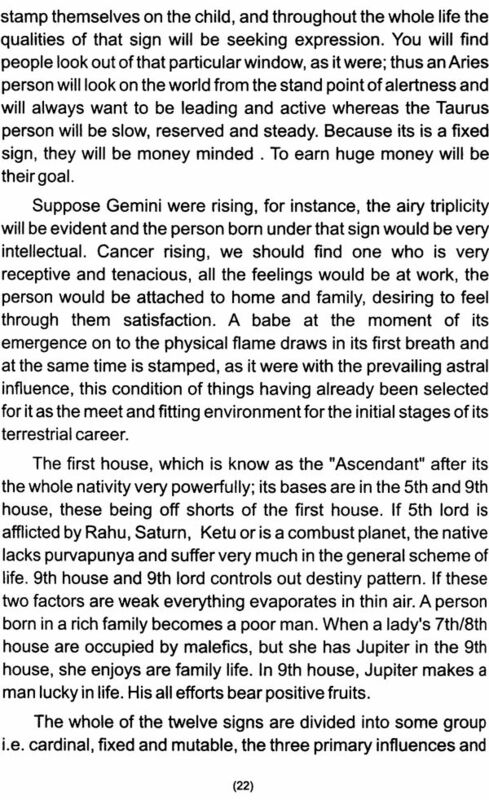 Ascendant should be aspected by planets, specially natural benefic planets, Mercury, Moon (waxed), Jupiter and Venus. Planets in trines and quadrants make the horoscope very powerful Any relationships between trine quadrant lords increase the intrinsic strength of the horoscope. Plants in succeedent houses (panparas 2,5,8 and 11) make for moderate strength and planets in cadent house (apoklims 3,6,9 and 12) indicate a somewhat weak chart. The presence of good yogas in the horoscope make the horoscope super stong. Trine/Kendra lords should never make relationships with 6th/8t/12th lords should never make relationships with 6th/8th/12th lords. Maha Yoga, Adhi Yoga, Mudrika Yoga-Sat- Moon-Jupiter in mutual kendras, Parijata Yoga, exchange of 2nd/11th lord, Dharmakarmadhipati Yoga etc. make the horoscope strong. 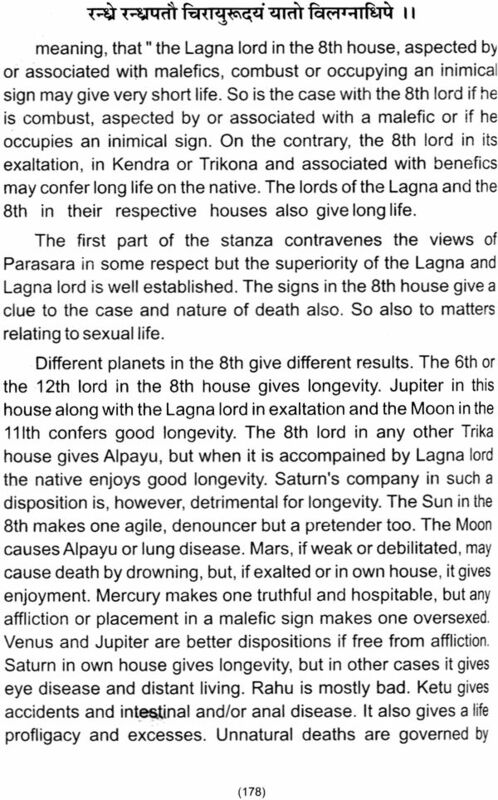 8th lord should be aspected by divine Jupiter. 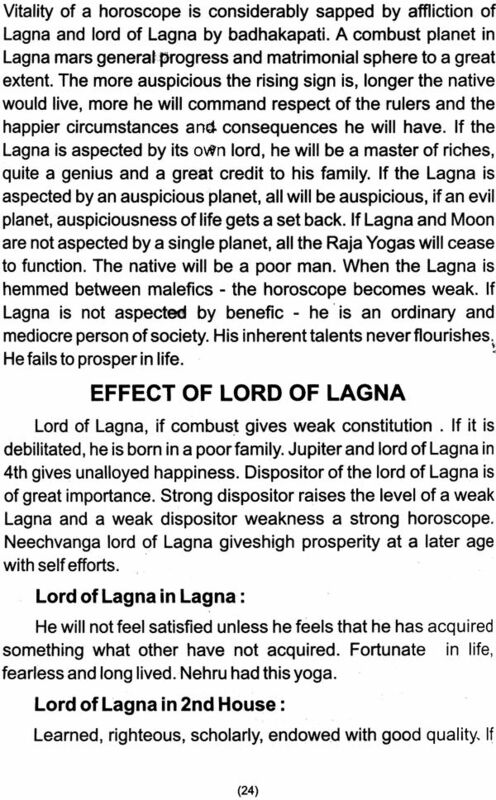 Aspect of Saturn on 8th lord makes the man poor, Malefics in Lagna spell trouble for the native. 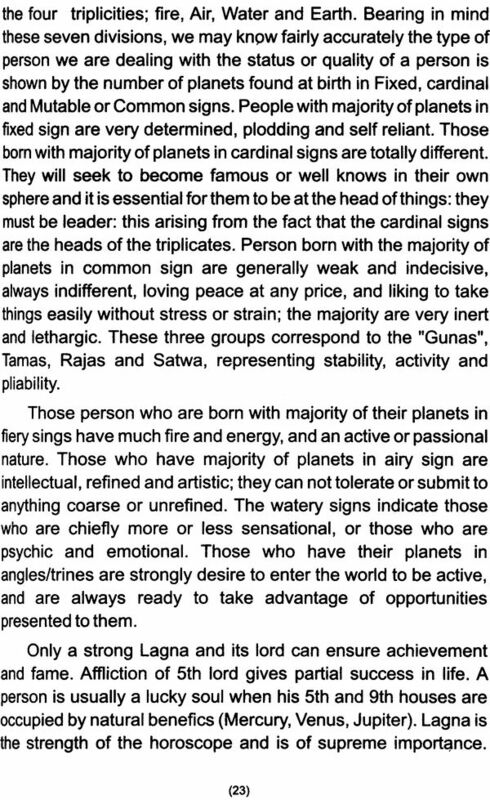 Saturn as a lord of Lagna is not welcome in Aquarius of Capricorn. 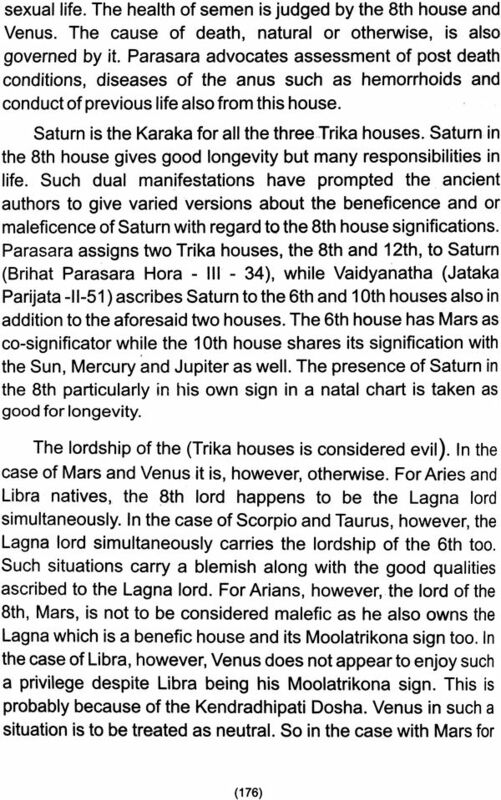 If the 6th lord or the 8th lord in Lagna one is prone to diseases. Mars-Saturn in 6th give stomach problem. God decides the social status of any native through planets at the time of birth. 1. 8th lord and Sturn are strong, the native will come up in life. 3. Gajakeshri Yoga in good houses, Parijata Yoga, exchange of lords good houses (1,2,4,5,9 and 11) give easy financial success to the native. 4. 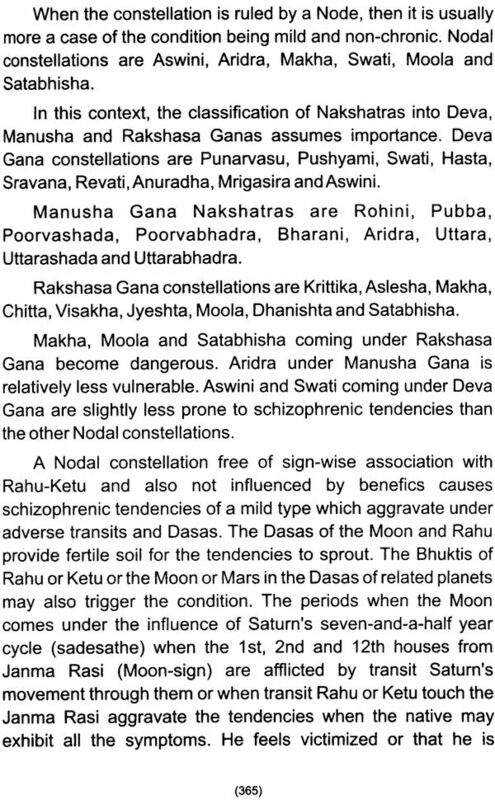 Should the Moon in the horoscope be placed in Kendra (1,4,7,10), Panphara (2,5,8,11) and Apoklima (3,6,9,12) houses eckoned for the Sun, the native shall get wisdom, wealth and intelligence in decreasing order. When the kendras of Moon are vacant, ladyu luck smiles on him after 38 years or so. When Sun and Moon are strong and the horoscope is loaded with serval good yogas such as Adhiyoga, Lakshmiyoga, Vasumati Yoga, Gajakeshari Yoga, Parijat Yoga, Mudrika Yoga, the native becomes famous and wealthy When Sun and Moon are hemmed between benefics. One has a easy success in life. 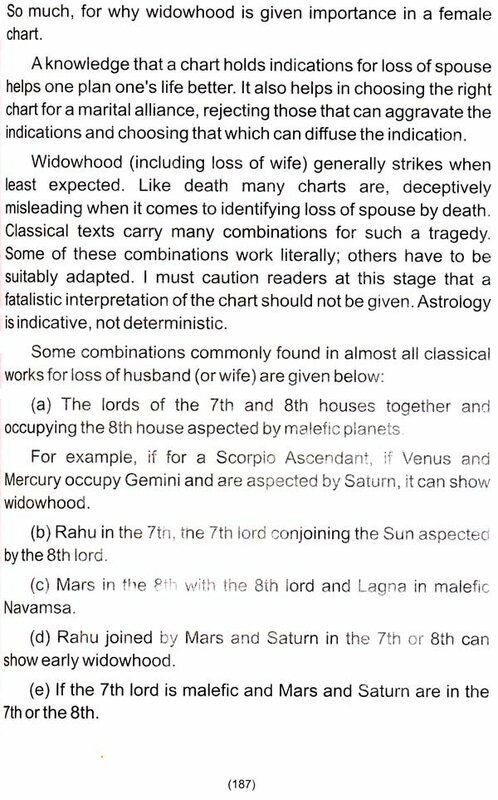 If one looks at the natural zodiac, the 2nd and 11th lords are Venus and Saturn, their conjuction, aspect, and mutual 5th/9th position will bring material success in life, irrespective of their lordships at birth. The criteran for judging wealth is entirely dependent one the dasa factor. Chandra Mangal gives wealth in the dasas of Moon and while Gajekeshari Yoga gives wealth in the dasas of Moon and Jupiter. Humanity has joys and sorrows, pleasures and pains, elevations and depressions, health and disease etc. Benefic and Malefic planets are to be at the root of those happenings. For serious disease, suffering and sorrow are all due to weak Saturn. In fact he is the ruler of all sorrow. Strenght of 6th lords, brings litigation in life. 6th/8th/12th lords should never be retrograde for a very prosperous life. If malefic are in the angle of 6th lords, many serious litigations, will crop up. Rahu and ketu are equally evil and mischievous. 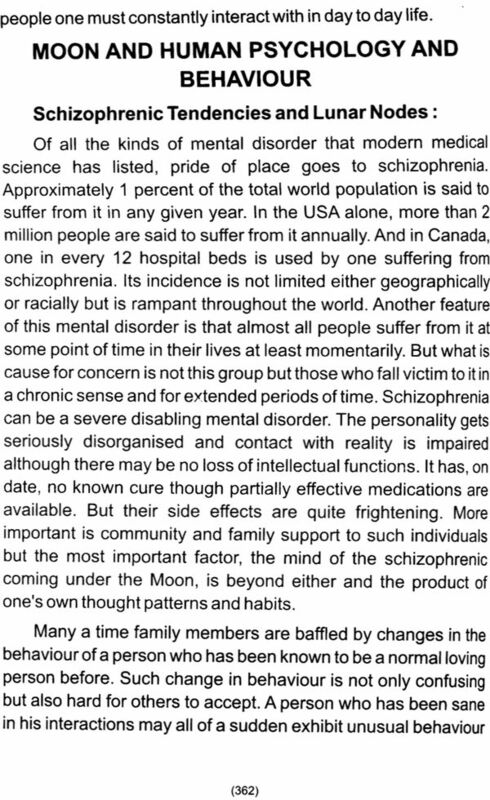 They cause mental and physical disease, sorrows and other troubles. What are the causes of sorrow and disease? 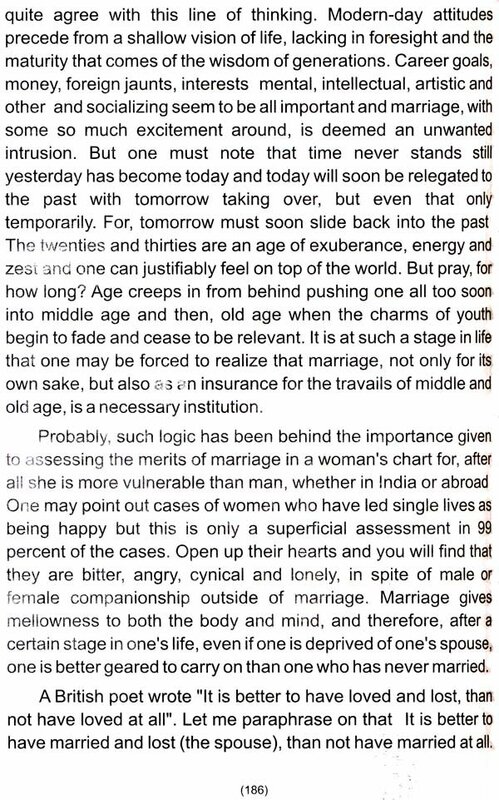 Cupiity, avarice, selfishness, bigotry, pride, prejudice, arrogance, iserliness, wrong food (wines, drugs, smoking urges, habits etc) and wrong habits, indulgence to excess sexual urges, jealousy etc are some of the principal reasons for our sorrows and disease which form the bulk of human misfortunes. The acts of previous birth under the heading past karma are to be causes of disease in course of time. These souls do have weak 5th and 9th houses. What we call Adrishta or that which is not visible to our present, can not be denied by reflecting mind as non-existing. It is the result of our past evil Karma that expresses itself as misfortunes and sorrows in life. Likewise Jupiter, Venus, well associated Mercuty and Waxing Moon in good (preferably in trines/quadrants or in Upachaya Sthan) Cause pleasure, happiness, success, good health, elevation and financial success. For a scandal free life 8th/12th house should be vacant. Good yogas in the horoscope greatly enhance the possibilities of name, fame, honour, good health etc. If Langa and its lord are strong, the man does well in life, if the lord Lagna land in an enemy camp and is aspected by another malefic, charm of life is lost. Failures and frustration pull man down. If the ascendant is not aspected by a single benefic, auspiciousness of life gets a set back. Malefics in Lagna spell trouble for the native. Litigation brings into play an inimical act which the 6th bhava has its sway. Health problems (mental and physical), debt trap, poverty, court case, illegal detention in jails for indulging in crimes, loss of job, loss of limbs on various reason, unhappiness in married life, property disputes, deserted by the spouse, sudden accident., snake biting , attack by dacoits, theft case at home, sudden bomb injury, fire at home or at business premises, enmity by colleagues or relatives etc and many other things keep people in distress. 7th house is house of opposition and confrontation. It is primarily concerned with involvement I a law suit. The 8th house invariably comes into the pictures as litigation pushes one into high agony, suffering and placing one’s honour at stake. Punishment, imposition of fine and confinement governed by the 12th house are the possible consequences for a litigation. Thus we can well visualize the evil influences of all the Dusthanas come into operation, the favourable disposition of the 11th house, which is the 6th from 6th and 12th from 12th, is considered to be the most important in securing success in litigation. Apart from this well disposed benefic houses, the kendras (angles) and trikonas (trine) do come to one’s rescue in granting acquaittal and restoring one’s honour. 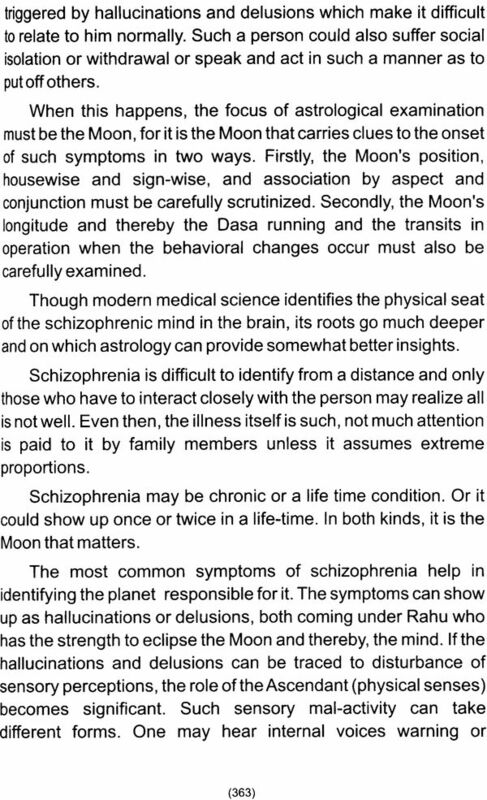 Should Mars join one the planets Moon, Sun and Jupiter, the subject will be a victim of major ill health or litigation. There is no way to escape from this kind of events (TOA,May 1997). The book contains 20 chapters, which deals yogas for name, fame, honour, good health, sound education, foreign travels, several serious diseases, reasons of losing vision etc have been discussed in detail. The ordeals of litigation for various reasons have been discussed in the last chapter. Among the planets, Mercury with his propensity for deception, duplicity and Mars ruling aggressive combative temper, are the obvious influences for consideration in dragging one into legal proceedings. 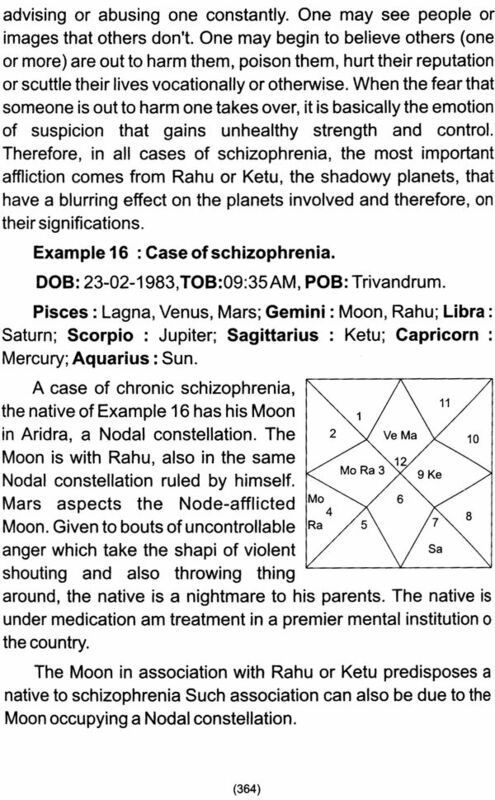 Saturn the Dukhakaraka or the bestower of griefs in life or the natural significator of suffering and confinement can also choose to cause pain through involvement in litigation. A Man’s talent never flourishes when he was weak moon. Afflicated Venus causes diabetic, loss of vision and body mutilation. President Roosevelt was wheel chaired from a very young age for his afflicted Venus. It is said that Venus makes the native lustful in the 7th house and keep more than one wife. Planet do shape human destiny. 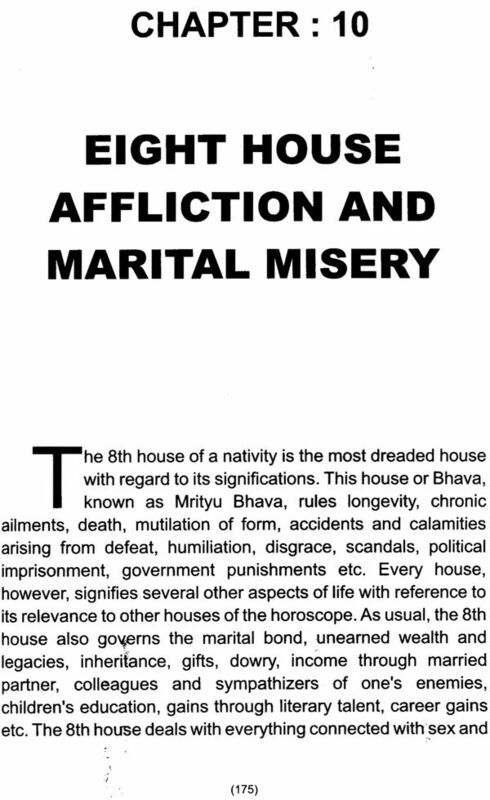 If the 5th house and 9th house are not strong, the native suffers in the general scheme of life. Afflicted 5th lord gives partial success in life. Afflicted 5th/11 axis produce severe disease in the body. May God bless the readers of this voluminous book.